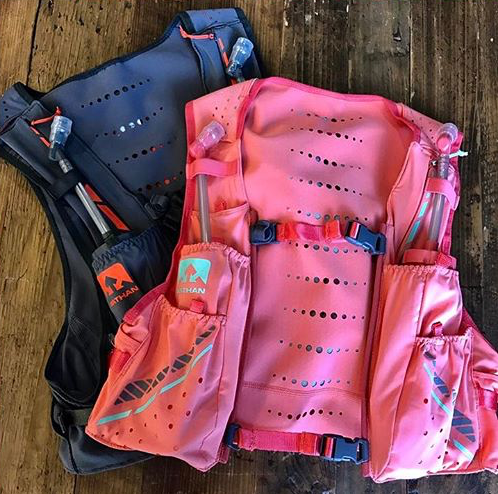 Designed in collaboration with world class champion ultra runners, the Nathan VaporHowe and VaporKrar 4L hydration vests feature a gender-specific fit, extended straw tubes on the front flasks and pockets everywhere! VaporHowe Designed with the demanding specifications of speedy champion ultra runner, Stephanie Howe, this lightweight runner’s race vest is snug-fitting yet breathable, designed specifically to fit the female form, and features front hydration bottle pockets. VaporKrar Designed in collaboration with champion ultra runner and renowned minimalist, Rob Krar, this lightweight runner’s race vest is form-fitting yet breathable, designed specifically to fit the male torso, and features front hydration bottle pockets.